One final point. 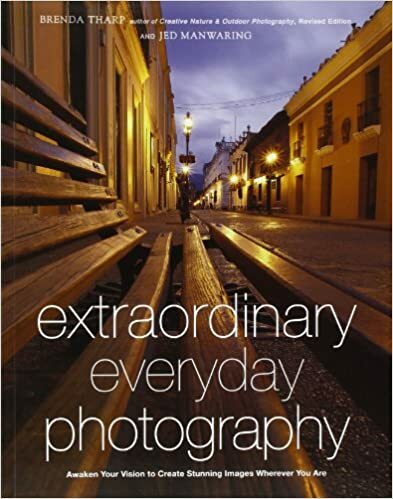 Most photographic books or web-pages I read assume you have a stable tripod for landscape work. In a similar way to the still life boys you spend a long time selecting the scene and composing the picture. Even with the most stable suspension system in the world this just isn't going to happen with KAP. So my premis is that when you compose the picture you do the best you can then shoot off lots of digital images. 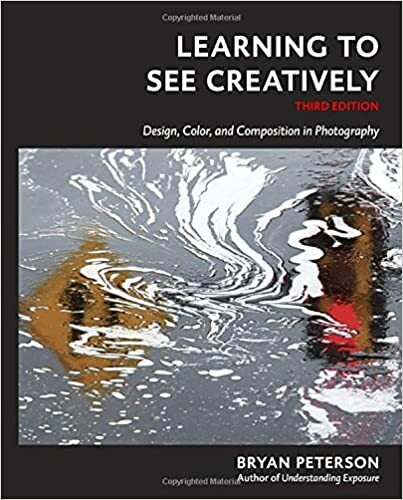 Once back on the computer you can use your instinct to select, crop, edit and stitch an image. Purists will argue that this post-processing on the computer isn't in the spirit of photography, but I see it all as part of the art, craft, and fun of KAP. KAP isn't easy, as well as all the normal photographic considerations, you need a rig, a kite, the right wind, a kite launch site, and a greater consideration for the safety of others - why bother? From the Car Park, Warkworth Castle (English Heritage) maintains a formidable entrance across the dry-moat. This is the wide-angled view that every visitor gets of the castle from the south, with a limited view of what may lie inside. From the kite, some of the castles secrets are revealed. The moat and walls still guard the interior, but the layout of the various buildings within becomes more obvious. Strong oblique sunshine accentuates the ramparts, and the earth mound the castle sits on. This makes the castle stand-out of the foreground. 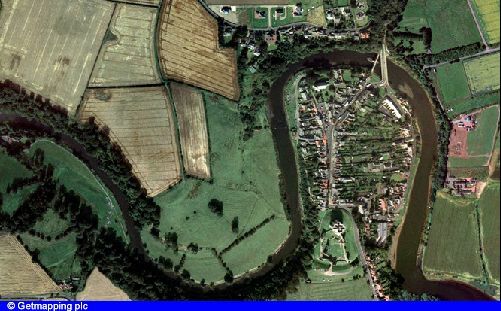 From an airplane a further dimension is seen, with the castle's prominent defensive position on a loop on the River Coquet. 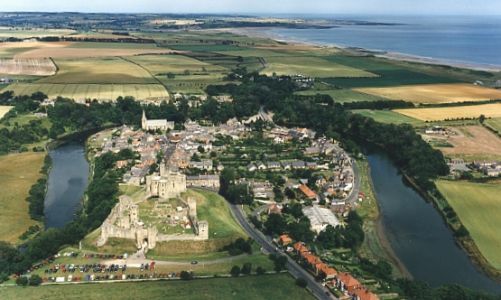 In addition the village of Warkworth can now be seen nestling behind, and filling the loop in the river. 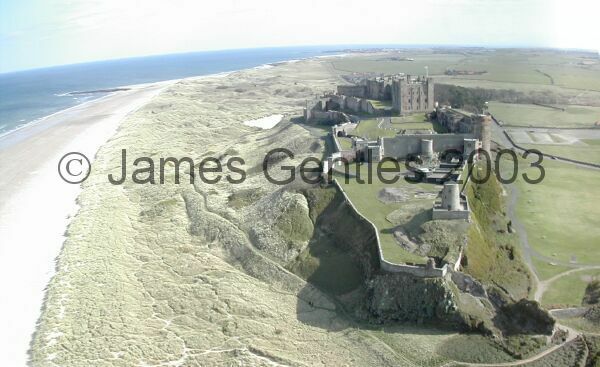 Thanks to Airimages, based in Northumberland, for allowing the inclusion of this complimentary view. Finally this shot has a different appeal, more of a living map than a photograph. The strategic position of the castle is demonstrated, however much of the impact of it's dramatic location is lost as all relief disappears due to the height of the camera above ground. Additionally, unwanted elements in the picture (like the two bridges above the town) become a distraction. 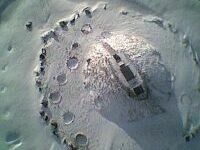 My conclusion is that KAP, aerial and satellite images can all play to their strengths, depending on the subject matter. Each one has it's own technical difficulties, however there are rewards for those who overcome them. 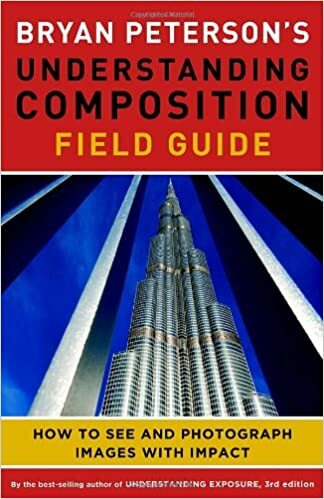 Another important lesson is that you don't need 1000' of line to take a good picture, in fact I would argue that since KAP fills the low-altitude aerial photography niche, you should stick to below 500' (local legal restrictions permitting), and play to the strength! So, first of all what do I take pictures of? You may have started KAP with a view to taking particular pictures, however they have to meet photogenic as well as practical rules. What looks good from the air is something you have to learn, sometimes the simplest objects can look stunning, and stunning objects can look boring. Look at other people's galleries and translate them into ideas in your locality. One combination I find works is the mix of impossible angle, simple subject, and strong colour, yes the roof really is that shade of green! You will spend several hours on a shoot, so pick your subjects carefully! This is when the practicalities get in the way. Reconnoiter the site before hand. Where will you launch the kite? What wind directions are favourable? Are there cables or power lines ANYWHERE nearby? What is the best kite to use for high angle or long reach? Be patient! Wait for the right wind and weather, even the right time of day for sun angles, before returning for the shoot. I keep a list of potential sites, with details of launch sites, wind conditions etc. There are a number of basic rules about the framing of a picture. Most basic is the Golden Ratio (1:1.618), which is supposed to be the most pleasing to view. 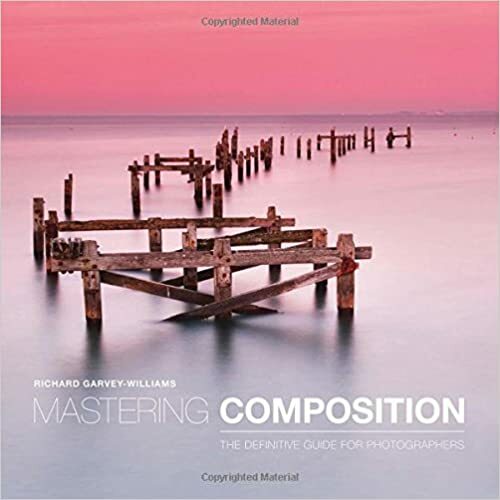 Generally landscape format is considered more soothing and portrait more tense. The Rule of Thirds highlights where areas of interest or lines should be. Interest should lie on these lines, or be centered around the 4 intersections, or hot-spots. It is considered good practice to have the horizon, for example, on one of these lines. Also on the picture shown is the Golden Spiral. Rather than the static thirds this spiral traces out a dynamic path for the eye to move through the picture, finishing on one of the hot-spots. Does your eye get led into the picture along the spiral? In this case the line between the sand and dunes forms the line, but more conventionally it could be a road, track, fence or wall. 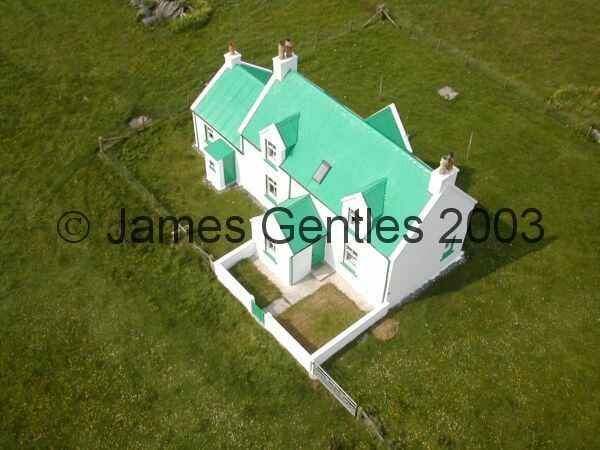 For images with less strong horizontal and verticals you could try fitting the image to the blue lines on the right. 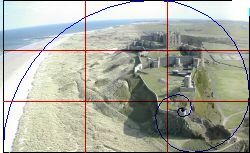 Note the right angle of the two blue lines, and how it is close to a hot-spot on the Rule of Thirds which is also included on the diagram. Remember these templates can be mirrored and inversed to suit your image. Also the lines could be any feature on the image, or indeed they could be features from the foreground and background that happen to be in line. 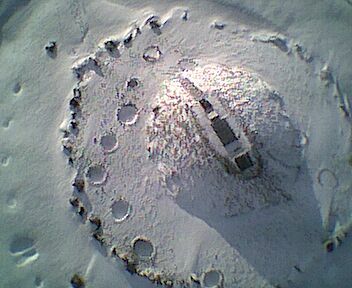 Consider this final image, look at the red cross shown, formed by the mountains and cairn. The general principle here is that there is a pleasure in order and symmetry, even if this symmetry is made up of logically unconnected parts of the picture. They do however help lead you between the different parts of the picture. You can take this even further and try to echo the shape in the foreground (the cairn), with the shape in the background (the mountain in the top left hot-spot) which is highlighted in green. With KAP there is less of a concept of foreground and background, however the concept of echoing shapes from different parts of the image still applies. The sun is the KAPers best friend, it accentuates height through casting shadows, and offering shading on vertical surfaces. The two shots shown have not been changed in any "photo package". They were taken less than 60 seconds apart. Try to ignore the better framing of the "sunny" shot, and note it's improved contrast and the 3D property that the strong winter shadow gives it. 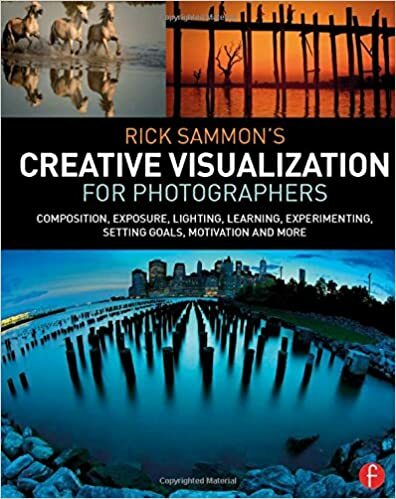 Try to keep the whole shadow in the frame, and if possible use the morning or evening light for long shadows and richer colours as shown here. Don't be frightened to shoot with the sun at 90o to the camera. With the more interesting angles directly into the sun it's difficult to control exposure. The use of gray graduated and polarising filters is even more unobtainable, c'est la vie. Make the most of what KAP does best - occupy the space between conventional photography and high altitude aerial photography. The image on the right was taken perilously close to the tower, hence the perspective. A huge flag set against the slender shadow, which is slightly exaggerated by the ground falling away to the left - it's a pity the shadow of the top of the tower wasn't in shot. It is a general photography rule that you shouldn't cut shadows off the edge of the frame, but it's sometimes difficult to achieve. Take advantage of the incomprehensible human ability to recognise objects from above, and toy with the viewer. Note that horizontal close-ups of this tower don't work on their own, they could just be part of a bigger castle's ramparts. Show enough of a building to set it in context and set the camera's position in an unattainable space. 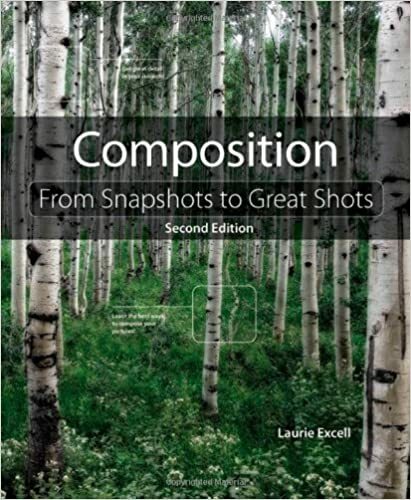 If however you are working on a montage, then these shots can be used once the viewer has had the context set by other shots. Whilst talking about angles, a word about the horizon. Keeping it flat is difficult, but this can make all the difference. 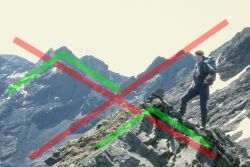 Although the horizon can be re-set in the computer, gross errors result in severe loss as the picture is cropped back to square. With the horizon in shot, try not to break it with an occasional tree or building unless they are on the horizon. Even images without the horizon visible there are no excuses, try to keep verticals vertical, unless the content of the picture is abstract and there is no natural sense of "up", e.g. the image is looking straight down. As well as trying not to cut shadows off at the edge of the shot, try not to have intrusions into the frame either. Keep the edges plain and simple, keep the areas of interest within the frame. In the example here the dry stone wall and gate bottom right is an unwelcome addition to the shot. Paths and roads can be used to lead you into the picture, but here the gate is a distraction. 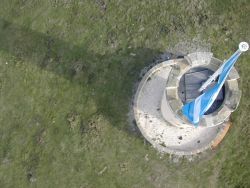 Although turning the image by 180o would help the Tower shot on the left, the shadow is missing and in the original high resolution image you can see various KAP paraphernalia sitting on a brown bench to the left of the steps. Try to keep the shot tidy so don't leave things lying around! I didn't keep this image after the shoot. This leads us on to the question of whether the photographer should be in the picture, and what to do with the kite line if it's in shot. I have noted that whilst the photographer's shadow in shot is normally considered unforgivable, KAPers have a different attitude to having either the photographer / kite flyer, or kite line in shot. So I'd ask a question - do these things add to the image or not? The photographer / kite flyer being in shot isn't an issue if they add some interest or scale, normally they are far enough away to just look like another person. Remember if you do think you are in shot to look up as you take the picture. As I take the picture I'm normally squinting into the video downlink and appear as a hunched figure (like on the right here), however there is normally enough time to look up as you press the shutter, and look down after the picture is taken. So the picture on the right breaks all the rules, I've called it "Like father like son". It was the test shot at the entrance to the shoot site, you can see the kite and KAP material as well as the operator and his son both looking at video monitors before letting the kite rise. Back to serious shots - I'm a lot less sure about the kite line being in frame. Does it distract from the picture, or destroy the illusion of the shot? In these cases I would electronically remove it. However if it adds to the image, or the game of "How did they do that?" then leave it in! is that the good photographer doesn't show you his bad pictures!